Kefalonia. The island of intense alterations of sceneries. The Ionian island that enchants its visitors. The reason? Because here, in the beautiful island of Kefalonia, green hills meet crystal waters and the bright sun plays hide and seek with the golden sand. Somewhere between these dreamscapes we meet DINA APARTMENTS. In a place of unique beauties, the amphitheater Razata village - very close to Argostoli - we have created the complex of apartments and studios DINA APARTMENTS, wishing to offer our guests the best accommodation conditions and sweet holiday memories. 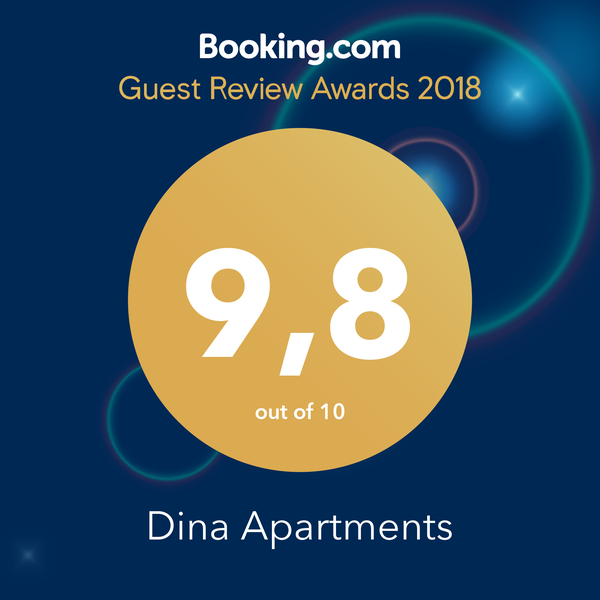 Here at DINA APARTMENTS you will enjoy a cozy and comfortable accommodation. Within our premises you will find a private parking, a large garden and a barbeque. For those wishing to explore the island of Kefalonia, DINA APARTMENTS is the ideal choice. The complex is built right on the road that connects Argostoli with Omala, where the Monastery of Saint Gerassimos is, the main port, Drogarati cave and Melissani Lake. We are waiting to welcome you here at DINA APARTMENTS and make your summer dream come true...happy holidays!